Samyang’s 8mm f/2.8 UMC Fisheye is currently the smallest and brightest Fisheye lens compatible with compact system cameras featuring the APS-C sensor. It features manual focus and perfectly combines high optical value, impressive lens speed and exceptionally compact dimensions. The sophisticated optical construction relies on the system of 10 lens elements arranged in 8 groups. They include one Aspherical and two Extra low Dispersion glass (ED) elements. 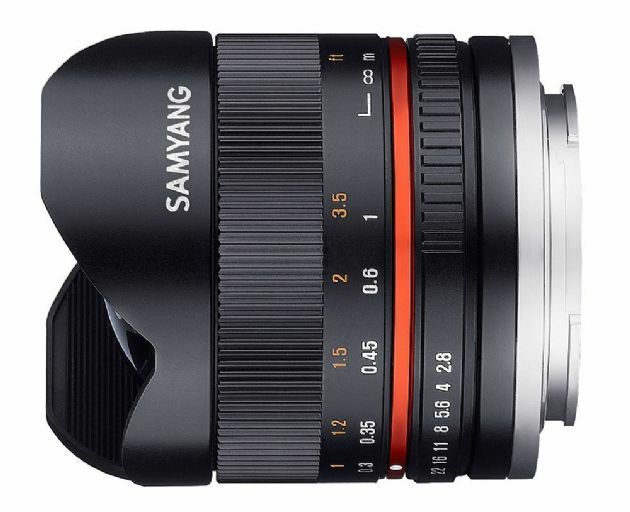 This provides perfect sharpness over the entire field of view and maximum aperture of f/2.8. All lens suffaces have multi-layered UMC anti-reflective coatings applied which add to the high contrast rendition and superb light transmission. Maximum angle of view is a staggering 180 degrees and minimum focusing distance is just 0.3m.